A touching story about a disabled lamb who finds he has a special purpose and place in this world. Because Joshua the Lamb is different, he often feels left out - like on a wintry night when he was left behind in a Bethlehem stable. This touching tale helps kids see that even if they are different, God has a unique plan for their lives. - Publisher Because Joshua the lamb is crippled, he is left in a stable as shepherds and sheep head out on a journey. His sorrow transforms to joy, however, as he realizes that--because of his difference--he is witness to a great moment. 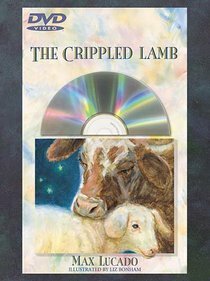 About "The Crippled Lamb (With Dvd)"
Because Joshua the lamb is crippled, he is left in a stable as shepherds and sheep head out on a journey. His sorrow transforms to joy, however, as he realizes that--because of his difference--he is witness to a great moment.